While commentators continue to cite the economy, negative gearing, and immigration as key factors affecting the demand for residential property, two new websites show the potential for technology to also open up new markets for home sales. 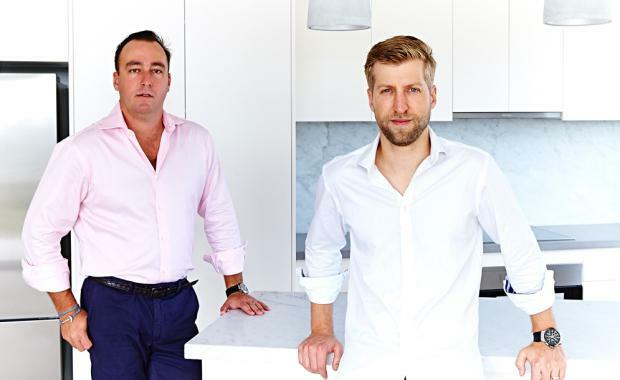 BrickX CEO Darren Patterson (pictured left) says his platform will enable wholesale investors to acquire shares in individual properties by trading “bricks”, which are interests in trusts that hold individual properties, for as little as $66 per brick. “The platform provides wholesale investors the ability to acquire and dispose of bricks whenever they want – without having the expense of purchasing property directly or experiencing the time lag and costs associated with direct property transactions,” Mr Patterson said. [tweet_box]“We’ve built an investment platform for real estate which we believe delivers a mechanism not before offered in Australia[/tweet_box]The Australian property market has recorded some of the greatest capital gains of any market globally, yet it remains largely inaccessible to a vast majority of Australians because each property is so expensive. BrickX proposes to change this by offering a way for Australians to invest in the property market in smaller amounts. The first phase of the platform launch is to investors who qualify as wholesale investors under the Corporations Act. Through the platform, wholesale investors can acquire and dispose of "bricks" in a single residential property made available on the platform and selected by the investor. The property is managed by BrickX on behalf of the investor on the platform, and the investor receives a dividend from the rent of the property that they own, in proportion to the units that they own in the trust. As the price of the “bricks” moves, so do the investor’s returns. The platform provides a balance for investors – between controlling and selecting their investment and alleviating the headaches of research, leasing and property management, whilst providing traditional yields and capital returns. There is no minimum investment required to purchase Bricks and there is a flat 2% transaction fee on purchases. To acquire Bricks, users must first register on the website and set up a digital wallet. The properties available through the platform are studios, 1 bedroom and 2 bedroom apartments, which satisfy BrickX’s standardised investment criteria aimed at delivering wholesale investors high quality residential properties in prime locations. BrickX has launchewd with properties in the suburbs of Mosman and Enmore in Sydney, shortly followed by Melbourne, and other capital cities coming soon. Founded by Executive Chairman Markus Kahlbetzer (pictured right) and Mr Patterson, BrickX is part of the BridgeLane Group. The start-up has been created off the back of market research that shows investors are looking for lower minimum investment sizes, more liquidity and “frictionless” investing. Mr Kahlbetzer said the platform was a significant step forward for Australian property investors. “We’ve built an investment platform for real estate which we believe delivers a mechanism not before offered in Australia and will provide investment diversity and choice in an industry that’s in need of a shake up,” he said. Ren Wong (pictured right), managing director of N1Finance says that local Chinese speakers understand English well, but speaking in their first language is preferred, especially for complex matters such as home loans. “In developing this website, we wanted to create a comprehensive solution. Many people are too busy to speak with multiple banks and each lender often has its own niche policy which requires research. This site makes this information accessible and offers a one stop research tool for Chinese buyers looking for financing,” Mr Wong said. Wong says the he expects the website to initially attract 400 unique visitors per month, but is expected to grow quickly with approximately one million people from a Chinese heritage residing in Australia.